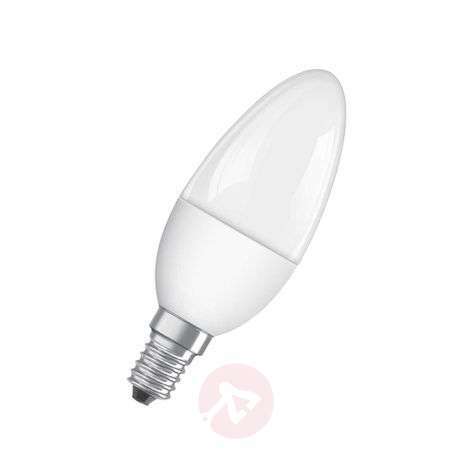 E14 5,3W 827 LED tear bulb Superstar matte dimmab. How do I know whether or not a LED bulb is dimmable? 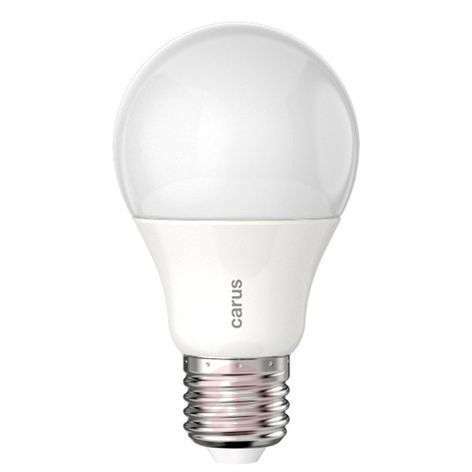 How do I find a dimmable LED bulb with the right base? Which dimmer is right for your dimmable LED bulb? Why is my dimmable LED bulb buzzing and flickering? What happens when you dim a non-dimmable LED bulb? 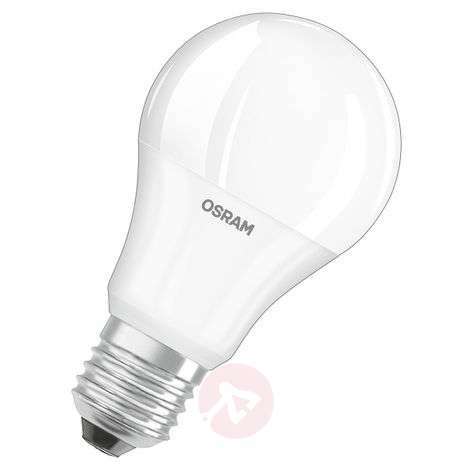 Does Osram produce dimmable LED bulbs? Can retrofit LED bulbs also be dimmable? Which replacement bulbs are suitable for my uplighter? Are there any dimmable LED bulbs that can be controlled remotely? Try to keep it simple: Choose light bulbs that do not require a dimmer. If your light has a dimmer, make sure you check whether or not the light bulb is compatible. Dimmers for traditional bulbs are not compatible with LED light bulbs. There are even dimmable bulbs that work via remote control – this will make your house a smart home. Don’t know which bulbs are compatible with your dimmer? 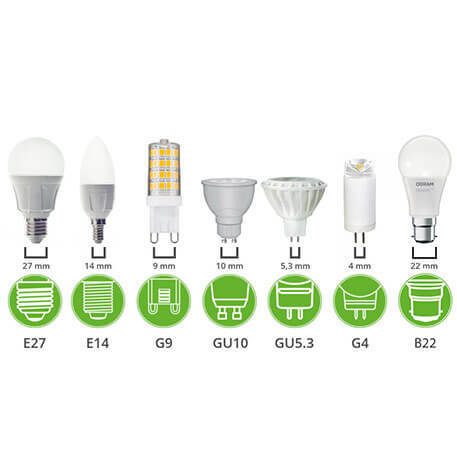 Take a look at our Guide to Dimmable LED Bulbs. We all know that LED bulbs are more energy-efficient than traditional light bulbs, but it’s such a shame to miss out on the cosy lighting that good old traditional bulbs provide. Well, now you don’t have to, because we have some great news for you! LED bulbs can be dimmable too, providing you with even cosier lighting. But this only applies to LED bulbs that have been specially designed for dimming. Finding this out is actually quite easy. On our website, you will see the sub-heading “Dimmable” in the list of product details. It is also noted on the packaging. Of course, our specialists are always on hand to answer any questions that you may have. Our contact details can be found below. This information is also available in the product details list. Under the heading “Base type”, you will find out which type of socket your light must have in order to be compatible with the light bulb’s base. Our handy filter function makes this easy for you. Just tick the categories that you need. For example G9, E14, GU10 or B22. Already purchased a dimmable bulb? Then you’re already halfway there. Now you just need to find the right dimmer. The packaging will tell you what kind of dimmer it is. Typically, these are leading edge or trailing edge dimmers. Want more detailed information? Please feel free to contact one of our specialists. Our contact details can be found below. We can answer that: You’re probably using the wrong dimmer. Always ensure that you check which dimmers are compatible with which dimmable bulbs. The technical specifications will provide information on this. You can also find compatibility information on the packaging. Using a non-dimmable LED bulb with a dimmer, is not a good idea! The following things could happen: First of all, you could damage your dimmer. Another possibility is that the bulb could start to flicker. Or it might not work at all. At worst, the bulb might go out prematurely. If you’re unlucky, however, you might end up having to throw away both the dimmer and the light bulb. A little piece of advice: It’s best to avoid using a dimmable light bulb and simply not dimming it. Just leaving your dimmer constantly set to 100 percent can damage both the dimmer and the light bulb. The bottom line: The two just don’t fit together. In this case, we’d recommend replacing the dimmer with a normal switch. Have you had a great experience with a particular manufacturer? Want to use the same company next time you purchase a light bulb? That’s a good decision. Because, “if it ain’t broke, don’t fix it”! 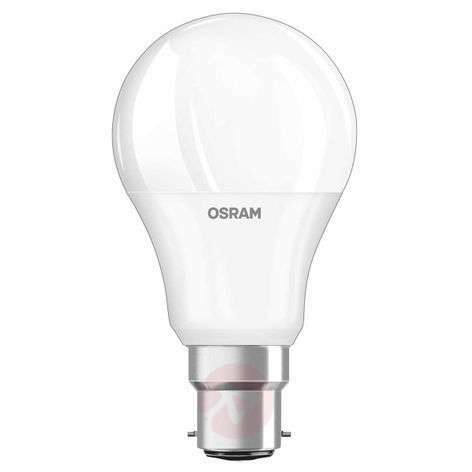 For example, if you like to purchase Osram bulbs again, simply tick the box beside Osram in the manufacturer filter. Your chosen selection will be displayed. Can retrofit LED bulbs be dimmable? Just to clear things up: retrofit light bulbs are any LED light bulbs with standard, old-style bases. E27, E14, G9 and B22, for example, are standardised sockets. 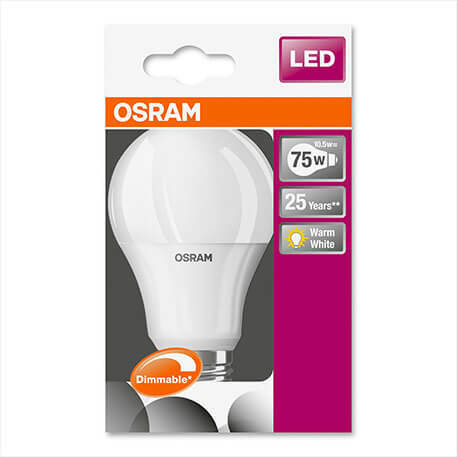 If you’re looking for a dimmable LED bulb with an E27 socket, then that’s - you guessed it - a retrofit light bulb. If your uplighter has a dimming function, then you should use a dimmable LED bulb. The important thing is to make sure that everything is compatible. Typically, E27 light bulbs are used for uplighters but other bulbs can be used too, depending on the model. Your best option: Find your uplighter in our online shop and then click “Choose an alternate light bulb” on the far right. The correct replacement bulb will be listed for you there. So, you will never have to worry about what will or won’t fit. 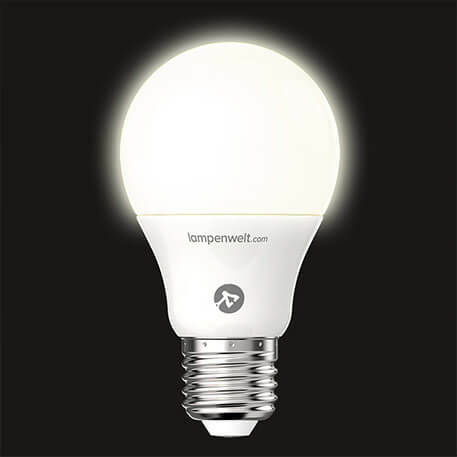 Yes, dimmable LED bulbs can be smart and connected! 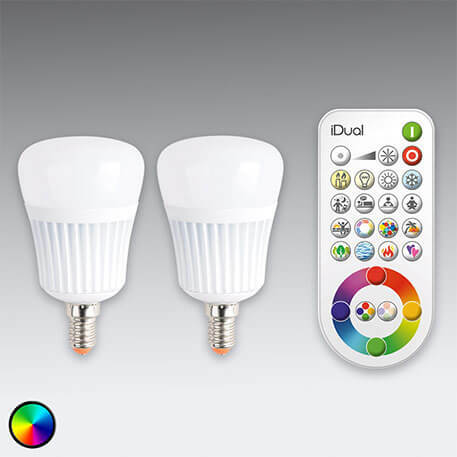 Not only can you use the smartphone app to control your dimmable LED bulbs, but in some cases, there is a remote control to access the bulb’s various functions. In addition to changing the luminous colour and multicolour function, you can also dim the brightness from the comfort of your sofa. Got any questions about compatibility or light bulbs in general? Please feel free to contact one of our specialists. You can reach our specialists by phone on +353 1 699 2138 or via our contact form. We are happy to help!